Club Cyberia, also Cyberia Café & Club, commonly referred to as Cyberia, is a nightclub with, oddly, no policy regarding underage visitors. It is a pivotal location in the Serial Experiments Lain (anime). It is located in Shibuya. 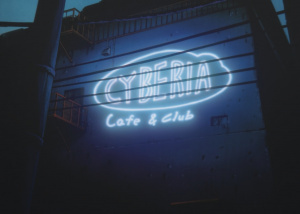 The Cyberia Club & Café in Lain alludes to Douglas Rushkoff's book Cyberia, published in 1994. It revolved, quite fittingly, around themes of technology, drugs and subcultures. It's probably no coincidence that one of the real world's first internet cafes was also called Cyberia. This page was last edited on 10 March 2014, at 23:54.